Very few inventors have achieved success in giving to the world new or improved methods of carrying on the business of life without long and hard study, repeated experiments and failures, and trying struggles with opposing elements. Many have labored through long years of poverty and obscurity to dazzle their fellow-beings in the end by the triumph of genius. The idea of an inventor has almost become coupled with that of anxiety, patient or impatient waiting, trials, and hardships. They are usually enthusiasts in the special pursuit to which they devote themselves, and the coldness and incredulity of those whose approval they seek to win, wear heavily upon them. The chilling common-sense of men more practical than themselves overwhelms them. If the wonderful improvements of the present and the past age could be placed in comparison with the attempts, the struggles, to accomplish what has now been achieved, the list of failures would far outnumber that of successes. Many of those who have rendered priceless blessings to their own and after generations by the production of wonderful machines or methods from the fine fibre of their brains, were plundered and buffeted, even in the midst of their grand successes, to such a degree that it requires a lofty comprehension to determine whether their lives were triumphs or defeats. Sometimes the failure of one generation becomes the success of the next. Born the same year that gave Robert Fulton to the world was Eli Whitney, who really made "cotton king," so that the great staple of the South yielded millions upon millions of dollars to the planters; but he might have died a beggar, so far as his marvellous invention affected his fortunes. Before he had fully completed his machine for separating the seeds from the cotton, which only two persons had been permitted to see, his workshop was broken open, and it was stolen. His idea was incorporated in other machines before he had obtained his patent, though it was only his own that transmuted cotton into gold. False reports, the repudiation of contracts for royalties fairly made, the refusal of Congress, through Southern influence, to renew his patent, constant litigation to protect his rights, harassed his life, and robbed him of the pecuniary results of his success. Defeated, he gave up the battle, devoted his attention to the manufacture of firearms, and finally made a fortune in this business. Fulton's experience was not very different. On the other hand, important discoveries in methods and mechanical appliances have been made by accident, as it were, and fortunes accrued from very little labor or study; but these are the exceptions rather than the rule. It would be difficult to estimate the influence upon the prosperity of the United States of steam-navigation. It came but a few years after the organization of the Federal Government, when the greater portion of the territorial extent of the country was a wilderness, and preceded the general use of railroads by a quarter of a century. Transportation on the inland waters of the nation was slow, difficult, and expensive, and the introduction of the steamboat upon its great lakes and rivers, notably upon the latter, was a new era in its history. On the great streams of the West flatboats floated for weeks, laden with the productions of the States, on their way to a market, where days or hours are sufficient at the present time. Between the metropolis of the nation and the capital of New York, the sloops, which were the only means of communication by water, required an average of four days to make the trip of about one hundred and fifty miles, while to-day it is accomplished in half a day or less. Now all the navigable rivers of the country are alive with steamboats, and the growth and development of the States have been mainly indebted to the introduction of steam navigation. On the great lakes, though more available for transportation by means of sailing vessels, the same powerful agency has achieved wonders, and all of them are now covered by lines of steamers, by which, either as tow-boats or independent vessels, a large proportion of the inland commerce of the nation is carried on. On the ocean the result of the introduction of steam-navigation is even more impressive, and nations separated by thousands of miles of rolling billows now join hands, as it were, with hearts commercially united, if not more intimately, through the medium of peace-giving commerce, of which thousands of gigantic steamers are the angel-messengers. On the Atlantic a score or more of them leave the one side for the other every week, and at the present time a merchant may breakfast in New York on Saturday, and dine in London the next Saturday. It is now conceded, both in Europe and America, that the world is indebted to Robert Fulton for the practical application of steam to the purposes of navigation. Whatever has been claimed for or by others in regard to the priority of the invention or application of the mighty power of steam to the propulsion of vessels, Fulton was "the first to apply it with any degree of practical success," as an English work states it. As one who labored for years over the idea which came from his own brain, though it also came to others, who wellnigh sacrificed his own life in its improvement, and who achieved the crowning glory of its utility, he is certainly entitled to be regarded and honored as the Father of Steam-Navigation. 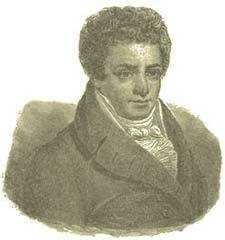 Robert Fulton was born in a small village near Lancaster, in the State of Pennsylvania, in the year 1765. He was the son of a poor man of Scotch-Irish descent, who died when his son was only three years old. He obtained only a common-school education, which he afterward increased by his own efforts. He early manifested a taste for, and considerable skill in, drawing and painting, and he selected this art as his profession, though he was more inclined to mechanical occupations, and spent his leisure hours in the shops of the workmen in his vicinity. He was somewhat precocious in his development, and at the age of seventeen he established himself as a portrait painter. He could hardly have attained to any high standard in art, though it appears that he had considerable success in his occupation, for at the age of twenty-one he had purchased a small farm in the western part of the State, where he placed his mother, indicating that he had a proper filial regard for the welfare of his remaining parent. It was evident from this success that he had decided talent and that it attracted the attention of others. He was advised to visit England and place himself under the tuition of Benjamin West, the eminent American painter, who had achieved distinguished success in art. He followed this advice, was kindly received by the great artist, and remained as an inmate of his home for some years. In the palaces and mansions of the British nobility were treasured up many of the most noted pictures of the day and of the past. In order to see, study, and copy these, Fulton procured letters of introduction which gave him admission to these paintings. He resided for some time in the stately mansions of the Duke of Bridgewater and Earl Stanhope. Both of these peers were largely interested in making internal improvements in England, especially in promoting inland navigation by canals. The duke was the possessor of immense wealth, and he had invested largely in companies connected with the canal system. Through him Fulton became interested in the same subject, and his mechanical tastes and talent drew him in that direction. The result was that he abandoned his easel and became a civil engineer, a profession hardly known by that name in the early part of this century. Earl Stanhope was also of a mechanical turn of mind, and had projected some important enterprises. At that time he was engaged upon a scheme which afterward filled up so much of the existence of Fulton--the application of steam to navigation. The earl had devised a method of accomplishing the result, and had caused a small craft to be built which was to be propelled by a series of floats, by some compared to the paddles of a canoe, and by others to the feet of water-fowls. He described his plan to Fulton, who did not regard it as practicable, and stated plainly the reasons for his belief. The earl clung to his idea, highly as he appreciated the talents of the critic. The inventor resided at Birmingham about two years, and was employed in a subordinate capacity at his newly adopted profession for the greater portion of the time. In this city he made the acquaintance of Watt, who had developed the steam-engine from a mere pumping-machine to something near what it is at the present time. Fulton's inventive genius was exercised during his residence at Birmingham, and he devised an improvement of the machine for sawing marble, from which he reaped both honor and profit. He produced a machine for spinning flax, and for the manufacture of ropes, and also one for excavating canals or river bottoms, for which purpose many such are now in use. As an author he wrote a work on canals, and published a treatise on the same subject in a London paper. He had a plan for the use of inclined planes in changing the level of the water for boats on canals, in place of locks, after the manner of the Chinese, claiming that greater elevations could be overcome in this manner; but it was never adopted. In 1797 Fulton went to Paris, where he resided seven years, as the terrors of the French Revolution were passing away. At this period he had invented what is now called a torpedo, largely used in modern warfare for the protection of harbors. He devised a submarine boat to operate these destructive weapons, which was not a success. He demonstrated what he claimed for the torpedo in the destruction of a brig of two hundred tons; but he failed to procure the adoption of this more modern engine of warfare by either France or England, and he had the honor to be snubbed by Napoleon I. In 1806 he returned to New York, where he labored for the recognition and introduction of the torpedo. He was encouraged by Jefferson and Madison, and Congress appropriated money for experiments; but the naval officers reported against him, and nothing came of his efforts. In Paris he had made the acquaintance of Chancellor Livingston, then the American minister to France, who was interested in Fulton's work, and who soon entered into business relations with him in connection with it. He was a man of abundant fortune, while the inventor was comparatively poor; occupied an elevated social position, and was a person of great influence. He obtained a grant of the monopoly of steam-navigation from the State of New York. Fulton took out two patents for his invention; but unfortunately they were not adequate to his protection, for they covered only the application of the steam-engine to the turning of a crank in producing the rotary motion of the paddle-wheels. While in England Fulton had contracted with Watt for the building of such an engine as he desired, without stating the purpose for which it was to be used. This engine reached New York at about the same time as the inventor. He made his plans for the construction of the boat, which was to be of different form and proportions from ordinary vessels, and it was completed and fitted out with its engine during the year following his return. Not long before this event, when he found the sum of money Mr. Livingston had provided to complete the steamboat was nearly exhausted, Fulton attempted to sell an interest in his exclusive grant in order to raise funds to supply the deficiency; but so little faith existed in the success of his enterprise that he could find no one who had the courage to purchase it. But the vessel was finished, and a trial trip was made in her, to which gentlemen of science and general intelligence were invited, most of them, like the rest of the world, sceptics and unbelievers. A few minutes served to satisfy these men that the steamboat was a success, and that the problem of steam-navigation had been solved in its favor. It was the hour of Fulton's triumph. The strange craft, to which the name of Clermont had been given, soon made a trip to Albany, accomplishing the distance in thirty-two hours, or one-third of the average time of the sloops, and making the return in thirty. Doubters and cavillers were silenced, and regular trips were made till the ice closed the river for the season. During the winter the Clermont was lengthened to one hundred and forty feet, improved in many respects, gaudily painted, and looked upon as a "floating palace." Another steamboat, called the Car of Neptune, was built, and soon a contract for five more was placed. The practical triumph had been achieved, and from that small beginning has come forth the mighty steam-marine of the present time. Fulton was married to Miss Harriet Livingston, a niece of the Chancellor, and was the father of four children. His business affairs were in anything but a prosperous condition. The State of New Jersey contested his monopoly, which proved to have been unconstitutionally granted. Fitch, or his successors, who had made some successes in the same line, endeavored to supplant him, and his patents were worthless. He was embarrassed by constant litigation, and his last years were full of trials and anxiety. He died February 24, 1815, at the age of fifty.